* Includes water and 6 adults weighing 175 lbs. each.Export models available in 230v, 50Hz, 1500w Heater. The Vanguard spa is extremely energy efficient. 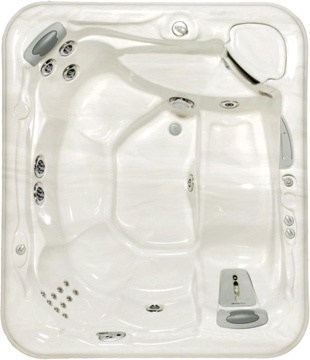 This hot tub features a single Moto-Massage® jet and a Moto-Massage®DX jet, each complemented by a Quartet® jet system, to soothe your neck, shoulders and back. 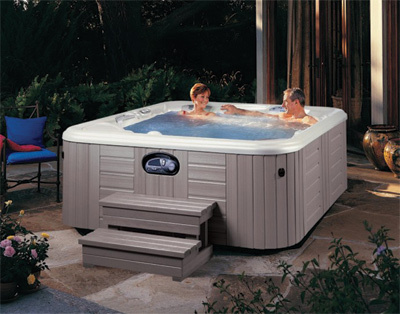 Its comfortable seating, styled armrests, and SoothingStream™ water feature provide maximum relaxation.